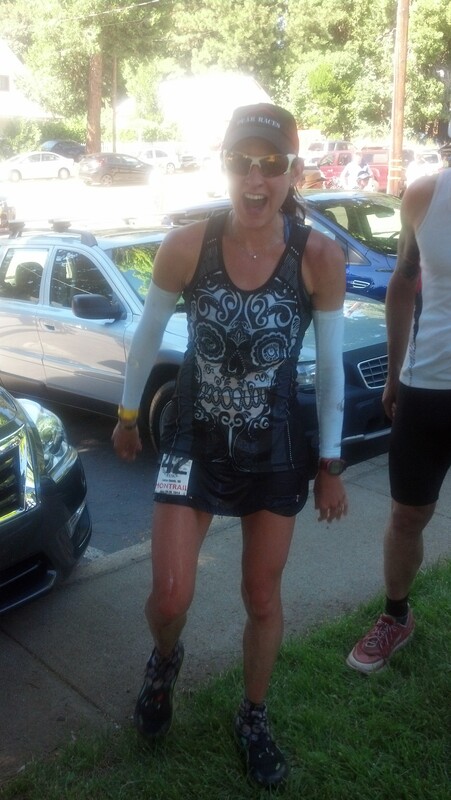 Ultra-Runner Larisa Dannis (2nd Woman overall at the 2014 Western States 100) smiling widely as she rolled into the 100k aid station at Western States! Today I'm really excited (I mean, REALLY excited!) to be able to share a wonderful conversation with elite ultra-runner and friend Larisa Dannis, on the heels of her recent 2nd place finish at the Western States 100 mile Endurance Run. In a nutshell, Larisa simply shocked the ultra-running world and took it by storm with her amazing finish! Also, Larisa and I were joined by Pursuit Athletic Performance ultra-runner extraordinaire (and Larisa's pacer for Western States), Deborah Livingston. If you haven't yet, check out my chat /podcast with Deb from a few weeks ago here, where among other things, we talk about Deb pacing Larisa at Western States 100! At the very young age of 26, Larisa has already accomplished more than most runners could ever even imagine. And believe me, she's done it all with incredible toughness, class, a huge smile, and a zest for life! Larisa's development as an ultra-runner; her childhood background including what ultimately led her to follow her passion of ultra-running (not what you might expect but intriguing and very powerful none the less!). Her "mental" approach: thoughts, strategies, and wisdom from inside the mind of a truly unique and humble elite ultra-runner. Larisa is wise beyond her years. We can ALL learn from her AND be inspired by her, not only as it pertains to training, running and racing, but perhaps most importantly, life in general. If you want to learn more about Larisa and follow her developments, check out her blog here. Thanks for joining me on this podcast - it was a ton of fun to host! Happy Trails!